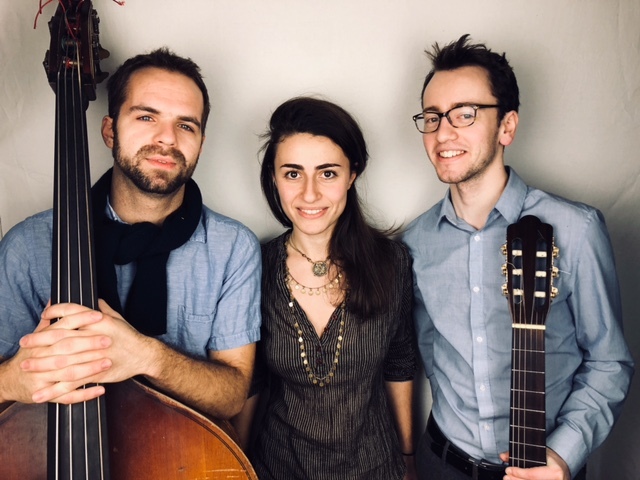 The members of MPB; Lucine Yeghiazaryan (vocals), Eric Zolan (guitar), and Adrian Moring (bass); are primarily versed in jazz, having collectively played with many greats; Winard Harper, Mulgrew Miller, and George Colligan. However, MPB formed because of each members' passion and enthusiasm for Brazilian music. The paired down, drumless instrumentation of the group offers a fresh take on compositions by Brazilian icons such as Gilberto Gil, Toninho Horta, Elis Regina, and Baden Powell. Still, MPB strives to preserve the essence of the original songs and keep intact the rhythms unique to Brazil that give the music such an infectious groove.